Details: 520 pages, B&W, Softcover, 7" x 10"
The Most Comprehensive Educational Print and Online Resource on Voice Disorders for SLPs! 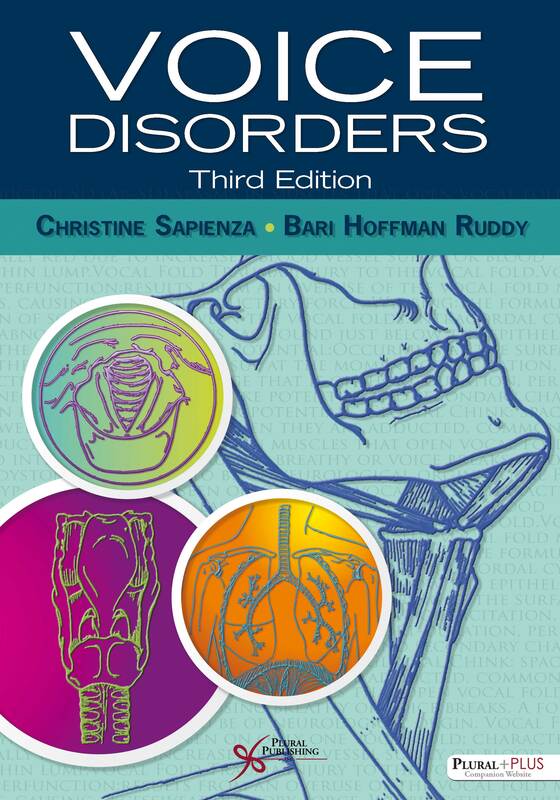 With Voice Disorders, Third Edition, authors Christine Sapienza, PhD and Bari Hoffman Ruddy, PhD have created a comprehensive package for learning. The textbook has been extensively updated with clinical information, and the book now comes with a robust online companion website including the full study workbook, videos, audio files, and case studies. The textbook and website offer an ideal balance of voice science with voice treatments, examining traditional interventions as well as recent advances in cellular therapies, muscle strength training, and treatments for special populations such as singers and actors and those with complex medical conditions. The Third Edition expands the approaches to voice therapy and better defines clinical decision making with information about humanistic communication strategies, adherence, and the variables that influence patient outcomes. 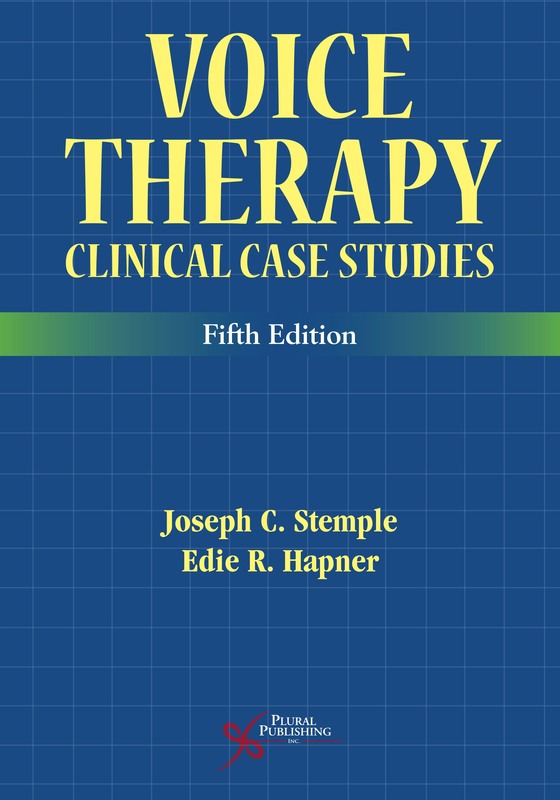 The authors have categorized therapy approaches in terms of type, such as symptomatic, combined modality, and hygienic. For each approach, they describe specific treatment methods, case examples, and expected outcomes. The textbook now includes access to a PluralPlus companion website that includes a workbook, exercises, study questions, laryngeal pathology video and audio samples, lecture slides, and an image bank. For the third edition, there will no longer be a printed companion workbook for sale. The study materials from the workbook have been made available on the companion website that comes with this textbook. 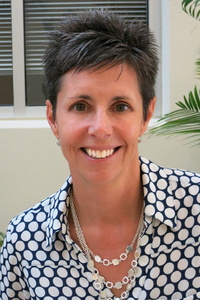 Christine Sapienza, PhD, CCC-SLP, serves as the Dean of the Jacksonville University, Brooks Rehabilitation College of Healthcare Sciences. Previously, Dr. Sapienza was a longstanding tenured professor and chair of the Department of Communication Sciences and Disorders at the University of Florida, as well as a research career scientist at the Brain Rehabilitation Research Center at the Malcom Randall Veterans Administration Hospital. As a principal investigator of National Institutes of Health grants, VA Research Rehabilitation Research and Development Awards, and a M.J. Fox Foundation grant, Dr. Sapienza has provided extensive mentoring to 16 doctoral students, all of whom have contributed back to academics and clinical service. She has built a strong national and international reputation for expertise in the design and implementation of larger scale randomized clinical trials examining treatments as well as the careful reporting of peer-reviewed outcomes from these studies. Dr. Sapienza methodically disseminates this information to the scientific community at large in the form of invited presentations, workshops, and clinical teaching platforms. Through writing, she works to integrate research findings in journal articles, textbooks, and clinical manuals. As a frequent contributor to patient support groups she aspires to assist patients and caregivers as they navigate available treatments and emerging science. Most recently, Dr. Sapienza was selected as Jacksonville's Women of Influence. Bari Hoffman Ruddy, PhD, CCC-SLP, is an Associate Professor in the Department of Communication Sciences and Disorders and jointly appointed as Associate Professor, Internal Medicine at the University of Central Florida. Dr. Hoffman Ruffy serves as research partner to the Florida Hospital Cancer Institute and Director of the Center for Voice Care and Swallowing Disorders at the Ear Nose Throat and Plastic Surgery Associates. 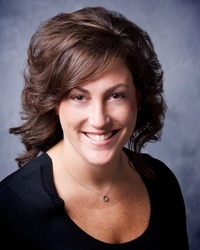 She has worked clinically in this setting for more than 18 years treating individuals with voice and upper airway disorders specializing in pediatric, professional and neurogenic populations, along with individuals undergoing treatment for head and neck cancer. Dr. Hoffman Ruddy received her doctoral degree from the University of Florida in 2001. Her current research involves studying novel treatment technologies and biomechanical mechanisms for disorders of laryngeal function while defining the high impact on quality of life factors. She implements 3-D computer modeling of upper and lower airway function, coping strategies of individuals with dysphonia and respiratory muscle strength paradigms in a variety of patient groups. Dr. Hoffman Ruddy has a significant record of peer-reviewed publications, authorship of multiple textbooks, and actively lectures across the country on these topics. In recognition of her contributions to teaching, research, and service, she has received numerous awards within her University and state association. To access the materials, log in to the website using the URL located inside the front cover of your copy of Voice Disorders, Third Edition.